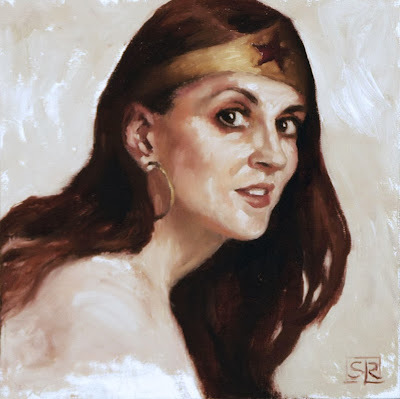 Donna as Wonder Woman , oil on canvas panel 8" x 8"
A painted sketch of my good friend Donna as Wonder Woman, as requested by her adoring husband. Here are some small gouache landscapes from my summer vacation spot. 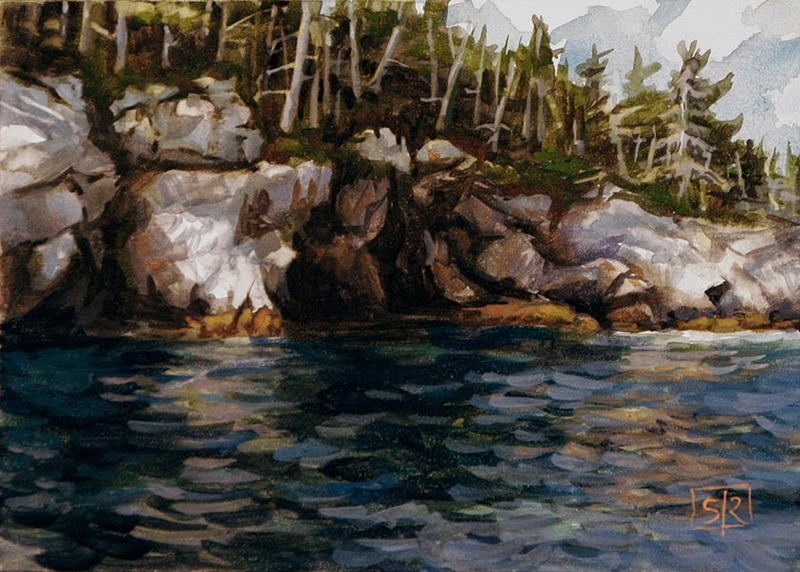 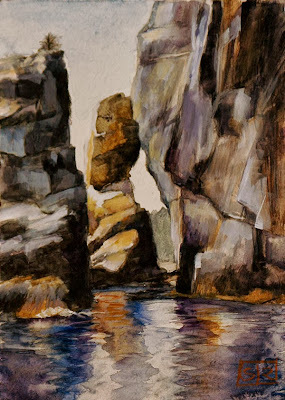 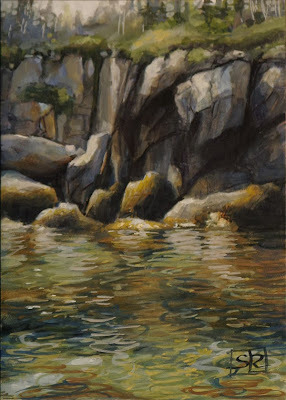 Sea cliffs, gouache on art panel, 5" x 7"
Southwest Cove from the water, gouache on art panel, 5" x 7"
Owl's Head, gouache on paper, 5" x 7 1/2"